In what was a tight affair, the hosts were heading for their first point of the season but Traore capitalised on Carlos Sanchez's error in the third minute of injury time to hand Nuno Espirito Santo's side their first top-flight win since beating QPR in February 2012. A first league win of the campaign sees Wolves move up to ninth in the table, while West Ham, who have only once before lost their opening four league matches of a season, stay rooted at the foot of the league and without a point heading into the international break. Both goalkeepers were called into action early as Rui Patricio got down low to his right to keep out Felipe Anderson's effort, while Lukasz Fabianski had to be alert to tip Matt Doherty's powerful strike over the bar. Despite the early saves, chances proved hard to come by at the London Stadium. Robert Snodgrass' shot hit the side netting in the 31st minute but it was one of only a few bright spots for the hosts in the first half. West Ham: Fabianski (8), Fredericks (6), Diop (6), Balbuena (6), Cresswell (6), Wilshere (6), Sanchez (5), Anderson (7), Snodgrass (6), Antonio (6), Arnautovic (6). Subs: Yarmolenko (6), Obiang (6), Chicharit (5). 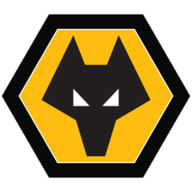 Wolves: Patricio (9), Doherty (8), Bennett (7), Coady (7), Boly (6), Jonny (6), Neves (7), Moutinho (7), Jota (6), Costa (6), Jimenez (6). Wolves looked confident in possession but they too struggled to create any clearcut openings as Raul Jimenez and Joao Moutinho sent efforts wide of the target. 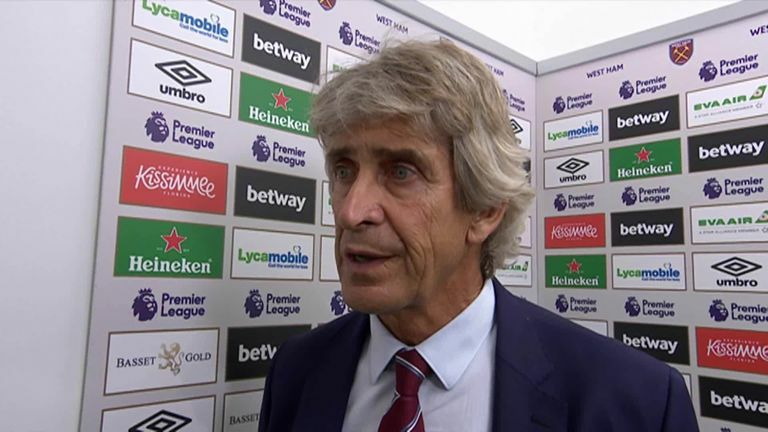 Pellegrini changed things around at the break, replacing Snodgrass with summer signing Andriy Yarmolenko and West Ham almost found a way through. A clever flick from Jack Wilshere found Marko Arnautovic but the Austria international could only prod the ball wide. Moments later, Patricio was at full stretch, diving away to his right to claw Michail Antonio's looping header off the line. Wolves then went close to taking the lead in the 74th minute but this time it was Fabianski who kept the scores level, racing off his line to block substitute Leo Bonatini's shot. They went even closer five minutes later. Ruben Neves' cross-field pass picked out Doherty, who picked out Jimenez in acres of space in the West Ham penalty area. However, the striker, under no pressure whatsoever, missed his kick in front of goal. Manuel Pellegrini made eight changes from the side that beat AFC Wimbledon in the Carabao Cup last Tuesday. 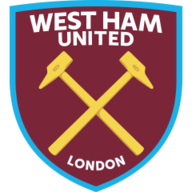 Diop, Cresswell and Snodgrass retained their places as the likes of Fabianski, Wilshere, Anderson and the fit-again Arnautovic returned to the starting line-up. Wolves made nine changes from the side that won 2-0 at Sheffield Wednesday in the Carabao Cup. Doherty and Coady kept their places as Nuno reverted to the starting line-up that drew 1-1 with Man City last weekend. Arnautovic almost snatched all three points at the death as he turned inside Conor Coady but luckily for Wolves, the Austrian's shot was kept out by the face of Patricio. There was still time for one final chance and it fell to Wolves. Sanchez lost the ball deep in his own half before Bonatini teed up Traore, who secured all three points for his side. West Ham have lost their first four league games in a season for only the second time in their history and first since 2010-11 when they were relegated. Manuel Pellegrini is the first West Ham manager to lose his first four Premier League games in charge since Avram Grant. West Ham have lost three consecutive Premier League home games versus newly promoted sides for the first time. Wolves' Adama Traore scored the club's first ever 90th minute match-winning goal in the Premier League. Wolves winger Adama Traore scored his first league goal in 13 appearances, having not netted since March vs Brentford. Wolves ended their longest ever winless run in the top-flight, having previously gone 17 games without a win in the Premier League. It was a tough call between the two goalkeepers, Patricio and Fabianski. Both made crucial saves to keep their sides in the game but Traore's winner just swings the award in the Wolves goalkeeper's direction. The Portugal international's two big saves came in the second half. Firstly, he dived away to his right to claw Antonio's header away from goal before keeping Arnautovic's goal-bound effort out with his face. In the end, they proved to be crucial interventions from the 30-year-old, who has been a pivotal part in Wolves' solid start to the season. Manuel Pellegrini: "We knew before we started that we had a tough start, seven difficult games. I don't think it is a bad start, it is a very bad start. We didn't think we'd lose six points here at home. Here at home to lose we must be very worried. But I think everyone inside the club is calm. We need to be calm. I think we have a strong squad and we are going to have better performances in the future. But of course, when you start with no points in four games it is difficult." 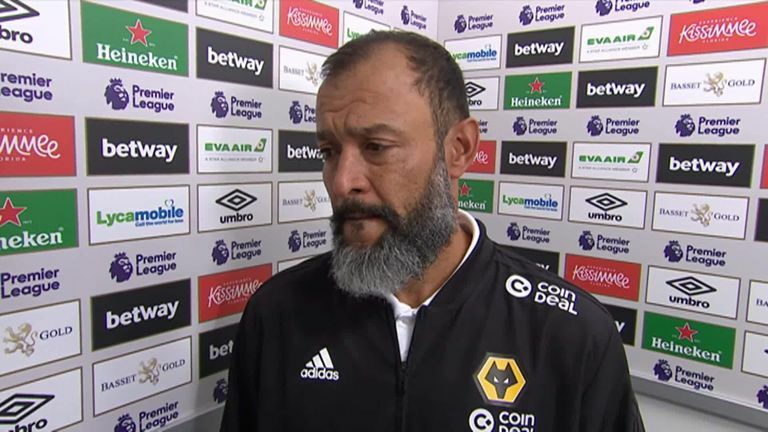 Nuno Espirito Santo: "It feels good. Even if we didn't win I would be happy because we worked hard. We are happy and for our fans, it's massive, to come here and get three points. It means more for our fans. The way they travel, the way they celebrated at the end of course it's special because it was a tough game. It's one step more in the way we want to go." There's a break now for both sides as the international fixtures take centre stage. When the Premier League returns both sides are live on Sky Sports on Renault Super Sunday with Wolves hosting Burnley (September 16, 1.30pm) and West Ham taking on Everton at Goodison Park (September 16, 4pm).